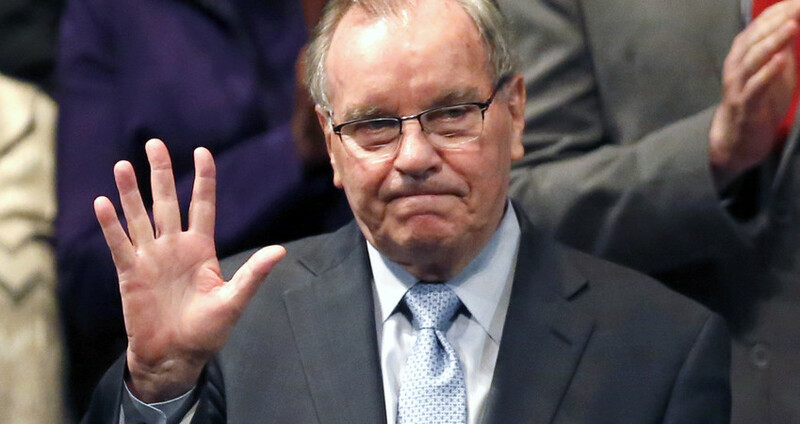 The Illinois Supreme Court ruled Friday against releasing statements former Mayor Richard M. Daley and his family gave a special prosecutor during the investigation that sent Daley’s nephew Richard J. “R.J.” Vanecko to jail for killing David Koschman. The court rejected arguments by the Better Government Association that it was in the public interest to reveal what the former mayor and his family told Dan K. Webb, the court-appointed special prosecutor in the Koschman case. It also said no to making public any emails that Webb exchanged with the Daley family, a list of witnesses interviewed by the special prosecutor’s office and subpoenas issued to City Hall. All of the records, which the BGA sued to get, were sealed, at Webb’s request, by Cook County Circuit Judge Michael P. Toomin. Following a Chicago Sun-Times investigation, the judge appointed Webb in 2011 to re-investigate Koschman’s death — a case the Chicago Police Department had closed without an arrest after two investigations while Daley was in office. Vanecko ended up pleading guilty five years ago to involuntary manslaughter and did two months in jail. He had been charged as a result of the special prosecutor’s investigation. Webb found fault with the police handling of the case but said he decided not to charge any Chicago cops for failing to arrest Vanecko in Koschman’s 2004 death because he didn’t think he had enough evidence to convict anyone of official misconduct or obstruction of justice. Citing the Illinois Freedom of Information Act, the BGA and the Sun-Times tried to obtain records from City Hall regarding Webb’s investigation, including subpoenas it got from the grand jury. But City Hall refused, citing Toomin’s order. The BGA sued for those records and any statements Webb got from Daley and other family members — including drafts of statements the special prosecutor allowed them to review and edit before they were presented to the grand jury. The grand jurors weren’t allowed to question Daley or his relatives. State law protects grand jury secrecy. But BGA attorney Matthew Topic argued that doesn’t trump the FOIA law. Six justices, including Anne Burke, the wife of Ald. Edward M. Burke, concurred. Justice Bob Thomas “took no part in the decision,” court records show. Koschman died from injuries suffered when he and friends from Mount Prospect — out celebrating their 21st birthdays in the Rush Street area — crossed paths with Vanecko and his friends early on April 25, 2004. There was an argument, and Koschman, who was 5-feet-5 and 125 pounds, got punched in the face by the 6-feet-3, 230-pound Vanecko. Vanecko, then 29, and a friend ran off. Koschman died 11 days later from brain injuries. The police later put Vanecko in a lineup but didn’t press charges, saying no one identified him. The case remained unsolved until 2011, when a Sun-Times investigation led the police to re-examine the case, which they quickly closed, again without charges, concluding Vanecko hit Koschman in self-defense.